Throwback Thursday- Attack of the Acronyms! It seems like with every passing week there are a least a dozen new acronyms associated with education. 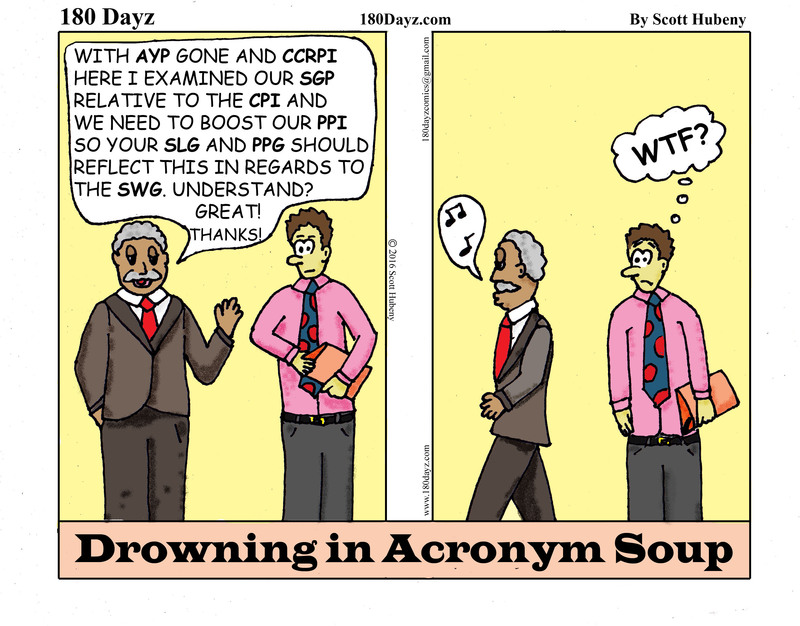 This Throwback Thursday comic is a favorite of a friend and colleague of mine and illustrates how teachers can feel lost in this sea of acronyms. Enjoy and share it with all those who could relate. Thanks! Feeling lost in the sea of acronyms that surrounds education?